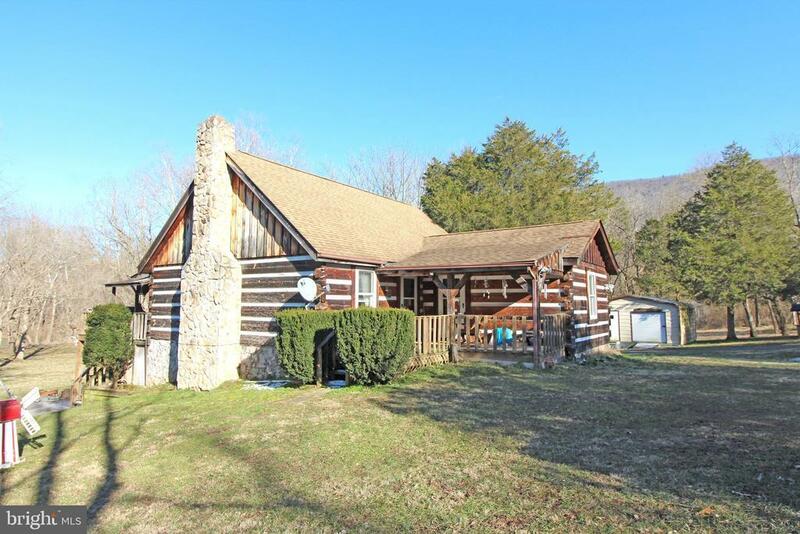 Shenandoah Riverfront Custom Built Log Home on 1.58 Acres. Beautiful level lot with mountain views and easy access to the river. Featuring Living Room with Vaulted Ceiling & Stone Fireplace, Spacious kitchen, Master bedroom & full bath on Main level, open loft area plus large Bedroom, finished basement with woodstove, bar, bedroom, full bath and laundry. Wired for generator. Covered front porch and open decking overlooking lawn and unrestricted views of the river. Enjoy birds, bears, turkeys and deer year round! Wonderfully maintained property, includes free standing carport and outbuilding. Perfect size for full-time or weekend living! Located in small riverfront community of Black Bear Crossing with easy access to I-81 and I-66. A Must See!